Technology makes everything convenient, and it is being employed in recruitment to remodel the selection approach and here is a look at some of the technologies. Jobeum is a decentralized network for business and recruitment professionals. A distributed ledger is used to keep records about employment, education, completed projects as well as related payment transactions. Jobeum is a blockchain-based network, a transparent system where users control who sees a specific part of the information in their profile. Their profiles become their “digital twins” and earn JobTokens for them when other people ask them for certain information or an action (e.g., open a part of their profile, show contact information, and confirm their skills). Many steps in the recruitment process will be automated via smart contracts, and the hiring process will be much more transparent. Also, users will be able to earn JobTokens when they refer another candidate, and the candidate gets the job. It allows candidates to have a rock-solid profile with confirmed skills which can be reliably used to find new jobs. Recruiters will benefit from being able to quickly find qualified candidates and share the profits with the candidates themselves. How about when we begin to treat candidates like customers, does it make any significant change in the recruitment pathway? Beamery is a talent acquisition tool, with the slogan that candidates can optimise their ambitions, when they are treated like customers. The features of the technology, maps candidate journey, and experience based on the principles of marketing. However, while acting in the marketing mode with employer branding, the software uses machine algorithms and social networks, to create a smarter hiring decisions for organisations over competitions. This creates a 360-degree analysis of candidates, in talent, social life and projected aptitude during the employment lifespan. Insurance company LV= in 2013 became one of the first companies to use Internet Protocol (IP) recognition on its career site to provide automated vacancies to candidates, dependent on contact information and location. Geolocation allows the real-world location of a person from any digital device using the IP. It alerts vacancies of relevant job vacancies within their geography and is cost effective. John Salt says geolocation eases an applicant search for job opportunity, as it filters suitable position in a person’s place of residence and can change based on commuting. Job seekers consider location when checking adverts. Thus HR professionals must seek to integrate this technology in their new approaches. One of the latest developments here is the ability to find candidate’s emails based on their [office] addresses and vice versa. For more information, you can refer to this blog post written by the well-known recruiter Irina Shamaeva. Rob May, described Talla as an assistant human, operating in the robotic and digital space with the capacity to augment fundamental Human Resources role like assessment, interviewing and advising HR professionals on functions and competency of new hires. Talla is an AI platform, which automates evaluation of candidates based on the role applied. The software works by integrating an organizations office suite, and Google documents to access the HR interface, monitoring and prescribing options to workforce productivity. While providing results to employee productivity, it helps to clean potential wastes; clash of job roles, interpreting of job description among others. Bryan Adams at Ph. Creative says the prominent feature of the software is its ability to give the team freedom to focus on priorities at a particular time — an employee can resume work, knowing the significant deliverables of the day instead of waiting for a memo from his manager. Talla helps to keep the new hiring and existing work-force happy, as every member is engaged in his/her job strengths. Recruiters are looking for smarter, and more cost-efficient talent acquisition models and HR experts believe the answer is Clinch. The software has been described as the Hub-Spot of recruitment marketing, as it creates a network of career websites, job-search contents, Ads, and candidates all in one pool. The recruiters can validate the job postings, and the talents available at-a-go while updating candidates with relevant newsletters and contents. Clinch uses behavioral analytics, to help recruiters’ analyze passive candidates, with relevant talents but are not submitting applications. Contents updates by clinch are engaging, helping to nurture and hire the best talents in the perfect candidate experience. Clinch is using advanced content marketing and technology, to create an extensive recruitment platform while testing feedbacks and relationship flows between employers and candidates. Clinch is the perfect platform for recruiters to maximise ROI and create personalized parameters that build important hubs for today’s talents. Sourcing qualified candidates in real-time has been a challenge to HR professionals, from targeted ad placements to well-written job postings. 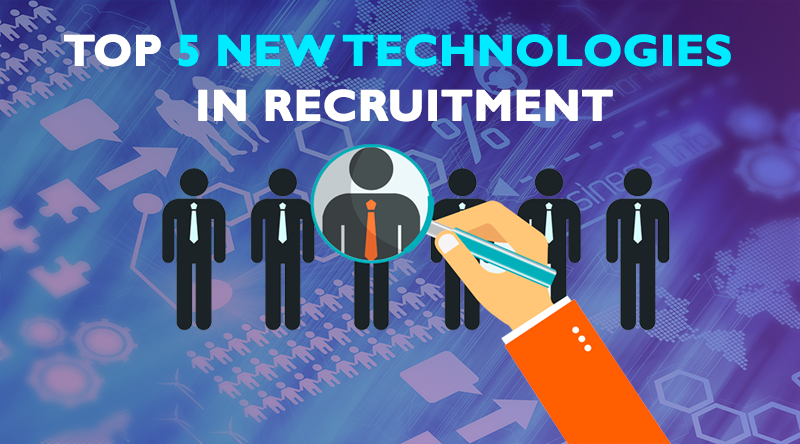 Recruiters do not seem to get the quality of candidates they want and are turning to technological trends. Technology will bring a huge development in the recruitment strategy through data and internet communications, the workforce will grow, and the inefficiency gap in the recruitment market will be bridged.